International Travel Fair (ITF) Taipei held at the World Trade Centre from October 27 to 30 including Sarawak Tourism officers, China Dragon Travel Services Co. Ltd. and Pin Sing Travel & Tour (Sarawak) Sdn Bhd. 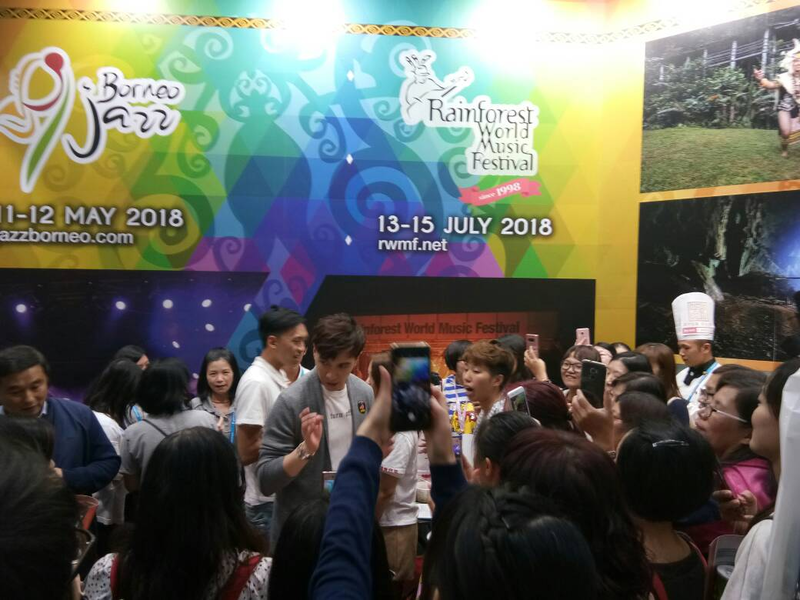 Present at the Sarawak Booth were Sarawak-born and Taiwan-based singers Melvin Sia and Eison Cai to promote Sarawak to the Taiwanese crowd. They shared their experiences and their love for the local cuisine of their hometowns. ITF is one of is one of Asia’s biggest travel fairs with a recorded 361,071 visitors last year and over 1,450 booths with more than 60 countries exhibiting. Melvin Sia and Eison Cai at the Sarawak Booth in ITF.